1) Using old or broken decks of cards, glue five cards together to make hands. Strew them around the table and put in the centerpieces. 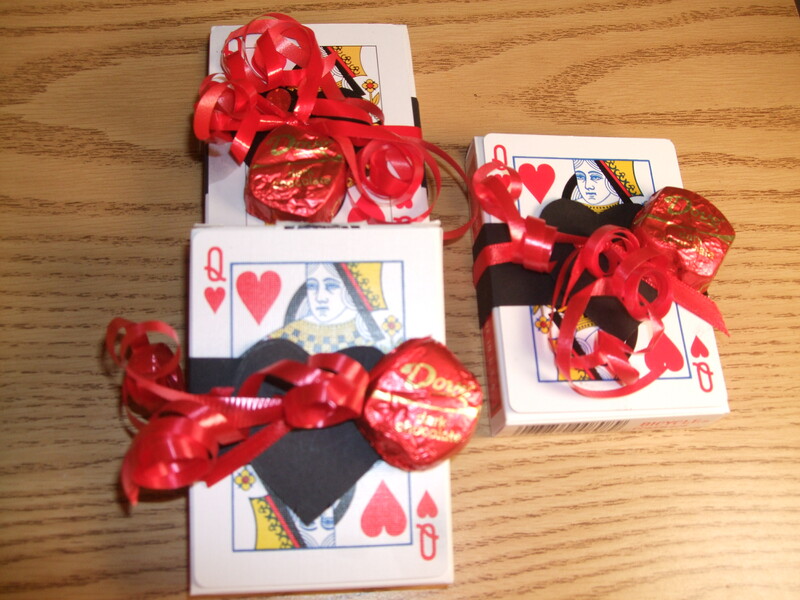 3) Use Queen of hearts cards, punched with a hole, to weight down red, black, and white balloons. Goodie Bags: From card party motif fabric cut 14″x 4 1/2″ strips. Sew a tunnel on the short ends and sew up the long sides, leaving the tunnels open to thread a 18″ x 1/4″ ribbon through. 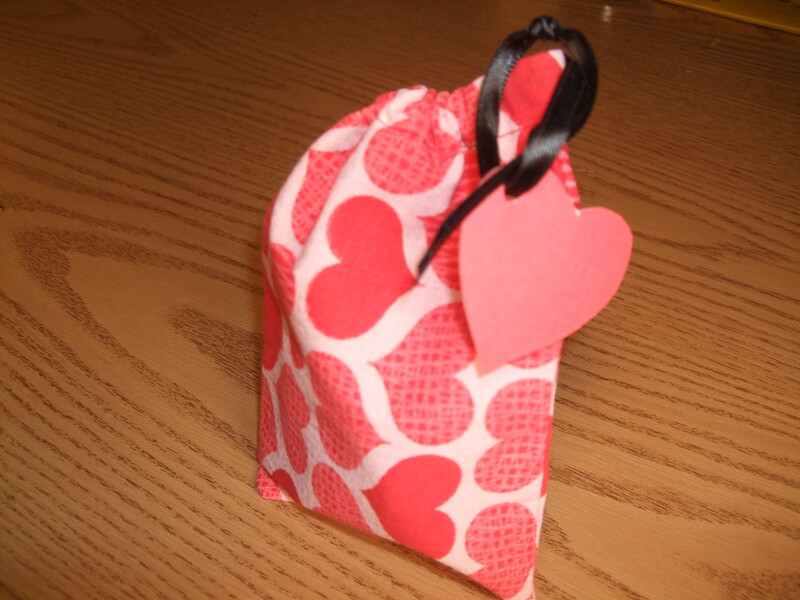 Add a heart shaped tag cut from cardstock. Fill the bags with wrapped snacks, and a cards suit pencil. If you’re organizing a golf event, add red tees and a playing card for the game (see other blog). Table Favors: Buy playing cards in bulk ($15 /dozen at Sam’s). Cut 7 1/2″ x 1″ strips of black cardstock to wrap around the deck box. 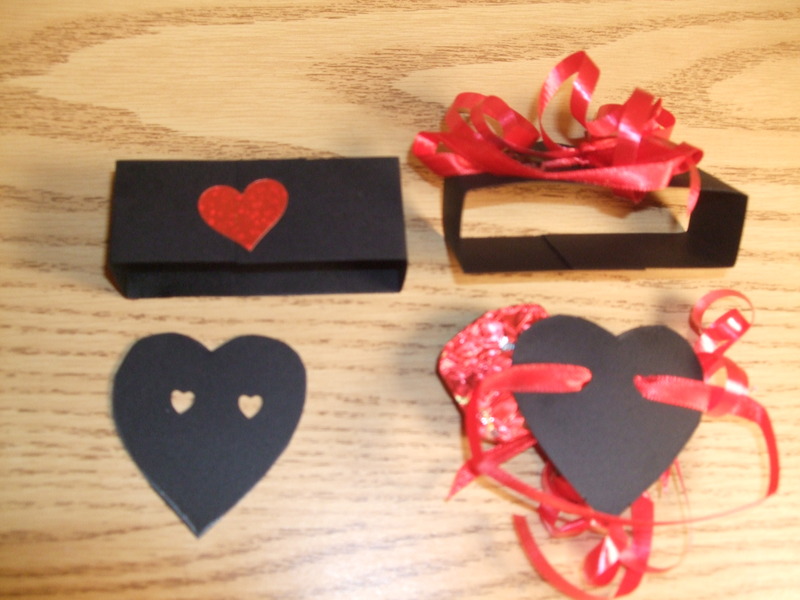 Add a 2″ heart cutout with holes punched with red curling ribbon threaded through and around the deck. Put the Queen from the deck on the outside and add a wrapped Dove chocolate.